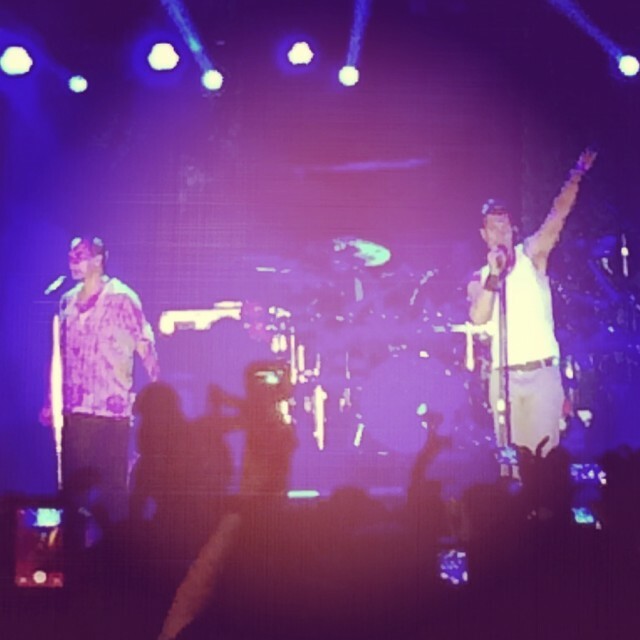 311 >> came back to the desert and performed poolside at the Talking Stick resort in Scottsdale this past Sunday. It's been nearly 2 years since Nick Hex and the funky quintet rocked the valley but this show's magic perhaps made the wait worthwhile. Now having seen the Omaha stylistics 15 or 16 times it was no surprise that 311 came out rocking from the get go. They opened with 'Come Original' and moved the crowd from the pool deck to the front of Talking Stick's massive stage in a hurry. Aside from adding to the ever growing repertoire with tracks like 'Showdown' and 'Boom Shanka' from the latest album Stereolithic, there were a few other pleasant surprises and notables I enjoyed. SA Martinez may be getting visibly older but I was happy to see how much energy he still has. His hype-man points skyrocketed with plenty of alien-robotic movements and it was by far the most active I've seen him on the turntables in almost 20 years, especially on 'Large In The Margin' and 'All Mixed Up' which were much trippier than usual. This was my first time checking out a show at Talking Stick and I was mega pleased with the sound. If they move a few of the inconvenient palm trees obstructing the stage from a chunk of the cabanas I wouldn't mind seeing a lot more shows here no matter how hot it gets. I'll be here a while - ain't going nowhere! This entry was posted in music, party, shows and tagged 311, 8:16 am, all mixed up, amber, applied science, beautiful disaster, boom shanka, chad sexton, come original, creatures, do you right, down, feels so good, five of everything, freeze time, friday afternoon, gap, i'll be here awhile, large in the margin, my stoney baby, nick hexum, omaha, omaha stylee, p-nut, pool party, sa martinez, sand dollars, scottsdale, showdown, sick tight, stereolithic, t&p combo, talking stick, tim mahoney. Bookmark the permalink.